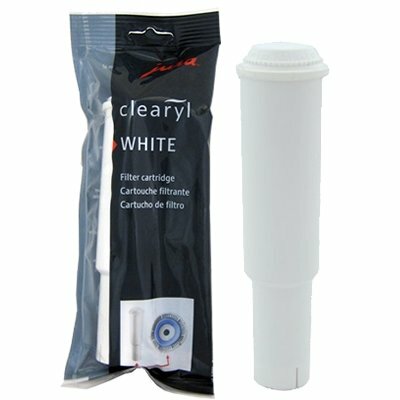 The Clearyl 64553 Water filter cartridges are designed for JURA CAPRESSO IMPRESSA Automatic Coffee Centers Z5 and Z6, S7 Avantgarde and S9 Avantgarde, S7 and S9 One Touch, F60, F7 and F8, J5 (not J6), E8 and E9. Also suitable for early models of the C5 OneTouch with original water tank (not new blue tank) Not for the F9 or older original S7 and S9. PLEASE NOTE: If you have purchased a REFURBISHED Jura or have had to replace your water tank, please check the water filter door flap that secures the filter in place before ordering. Each flap has a circular dial on it, so you can track the date of filter installation. If this dial is Blue, order the Clearyl Blue filter; if it is White, order the Clearyl White filter (or the Claris Blue filter for the F9). The most common model are the F7, F8, Z5 and Z6, but this rule could also apply to other models.